This webpage was developed as part of State Archives’ contribution to History Week 2015. At its core, the Labor Party was comprised of trade unionists who represented the working class. 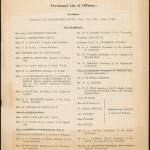 (3) There was significant resentment amongst Labor members that the majority of pro-conscriptionists were not liable for the military service that they would enforce upon others – people such as high-placed officials, members of the employing class, university professors, and society women. (4) This was reflective of a broader sentiment in some sectors of society that conscription, and in fact the war itself, was a class war waged by capitalists against the workers, and that the workers would be the ones to suffer. (5) Premier Holman did little to discourage this viewpoint, stating that university students and intellectuals should not enlist but should devote their intelligence to issues at home. (6) As most university students at that time were from the wealthier classes, this of course implied that it was the working man’s job to go and fight. [Fig. 1] Portrait of Arthur Rae. Photo from NLA pic-an25012433. In fact, Holman was so in favour of it that in September 1915 (a full 12 months earlier) he had been appointed one of the Vice-Presidents of the Sydney branch of the Universal Service League. (12) The League advocated ‘universal compulsory service at home or abroad, in the battlefield or elsewhere’, and supported the introduction of legislation for the above purpose. It was to become one of the State’s main pro-conscription organisations. However, the Labor Party was so strongly opposed to conscription that in May 1916 they had passed a resolution to refuse endorsement of any member of the Labor Party that supported conscription. On 15 September 1916, the Party withdrew its endorsement for Premier Holman and three other Labor members. Eventually, they expelled the Premier and twenty-one others, carving away exactly half the Caucus. (13) True to Holman’s words, conscription had deeply divided the Party. 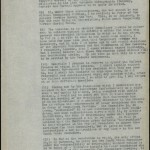 (1) State Archives New South Wales: Premier’s Department; NRS 12060 Letters received, [9/4736], B16/4153, Letter from Holman to the PLL Executive. (2) Hogan, M, Labor Pains: Early conference and executive reports of the Labor Party in New South Wales 1912-1917, Volume III, Annandale, NSW, Federation Press, 2008, p. 5; The Australian Worker, (11 May 1916) , ‘Against Conscription’, p. 21, http://nla.gov.au/nla.news-page16651043. (3) Department of Education, Employment and Workplace Relations. (n.d). Political Parties – Australian Labor Party, http://www.parliament.curriculum.edu.au/parties_alp.htm , (accessed 14 August 2015). (4) Hogan, pp. 483, 485-486; The Australian Worker (11 May 1916), p. 21. (5) Direct Action, 10 August 1914, Issue No. 11, http://www.jura.org.au/files/jura/DirectAction-No11-10Aug1914_0.pdf, (accessed 11 August, 2015). (6) NRS 12060, [9/4705], 15/6918, Letter from the Secretary to Mr John Kerr. (7) The Australian Worker (11 May 1916), p.21. (9) Commonwealth of Australia. House of Representatives. (14 September 1916). Parliamentary Debates (Official Hansard) – Military Service Referendum Bill – Second Reading – Mathews, James, http://parlinfo.aph.gov.au/parlInfo/genpdf/hansard80/hansardr80/1916-09-14/0133/hansard_frag.pdf;fileType=application%2Fpdf, (accessed 11 August, 2015). (10) Farrell, Frank. (n.d). 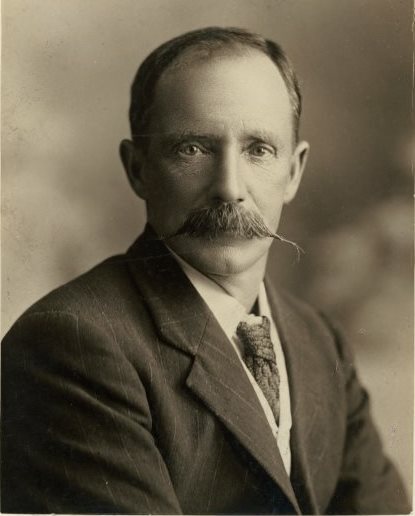 ‘Rae, Arthur Edward (1860–1943)’, Australian Dictionary of Biography, http://adb.anu.edu.au/biography/rae-arthur-edward-8148/text14237, (accessed 21 July 2015); The Australian Worker, (11 May 1916), p.21. (11) NRS 12060, [9/4736], B16/4153, Letter from Holman to the PLL Executive. (12) NRS 12060, [9/4703], 15/07337, Universal Service League. 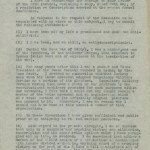 (13) Hogan, p. 6; Parliament of New South Wales, (n.d.), Fact sheet – Conscription, http://www.parliament.nsw.gov.au/prod/web/common.nsf/key/Conscription, (accessed 14 August 2015). Browse stories and records relating to the war, military service, and life on the home-front in NSW during World War I.